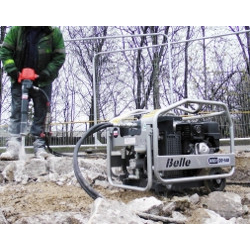 A portable and efficient on site power source, offering excellent power to weight ratio. Hydraulic power packs are 3 times more efficient than typical pneumatic systems and come with integrated Power On-Demand (POD) system. 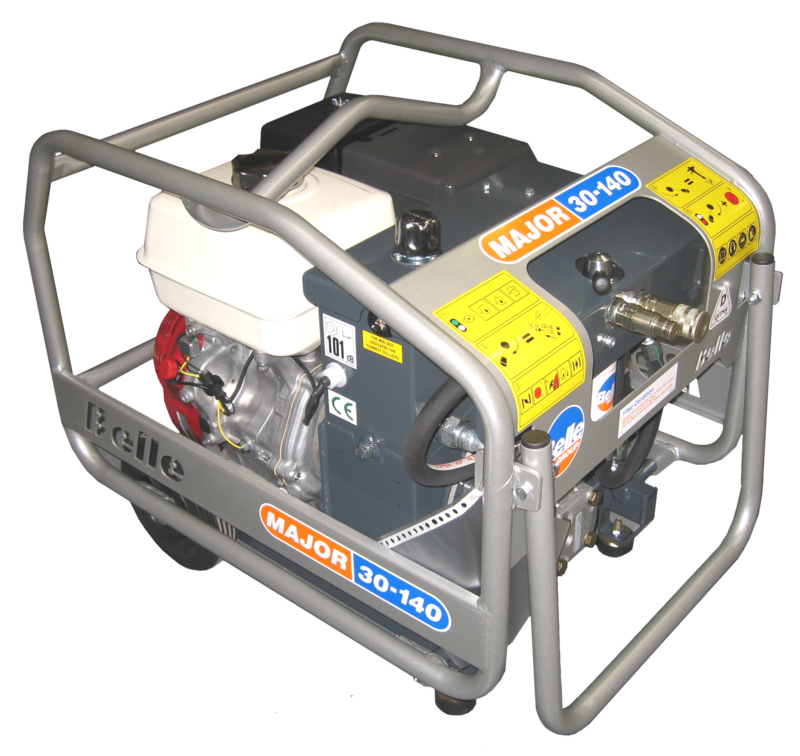 Portable and compact enough to be transported in estate cars and small vans. 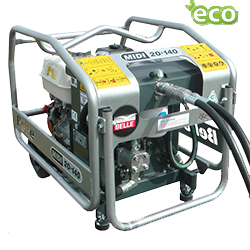 Low hydraulic oil cut out protects tools and system pump. Rigid and durable chassis and steel protection frame to prevent component damage. Hose storage position and lifting-eye integrated into protection frame. Customer colour options on protection frame. Packs fitted with wheels to make them easy to transport on site. Supplied with removeable braided Siamese hose set with high quality non-drip face couplings (these are pre-filled with Hydraulic Oil). Removable hose sets are easier for transportation and can be changed quickly if damaged. Power Pack is easier to store with hoses removed. 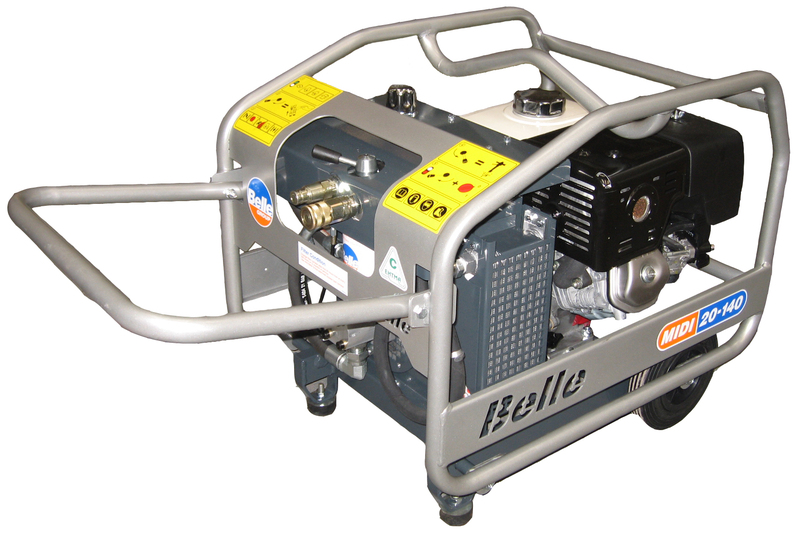 Can be used with ALTRAD Belle Hydraulic Breakers, Roller Strikers and Hydraulic Submersible Pumps.